Do you want to take better care of your health? The first step may be to start tracking crucial details about your well-being, including your heart rate, and your blood pressure. Of course, most of us can’t take a trip to the doctor’s office every other day to borrow their equipment. The good news is that you might be able to find the best blood pressure monitors in the UK, just by shopping online. Monitoring your blood pressure is an excellent way to track your health and fitness so that you can make measurable changes to your lifestyle. After all, high blood pressure can put you at risk of everything from a heart attack, to a stroke. 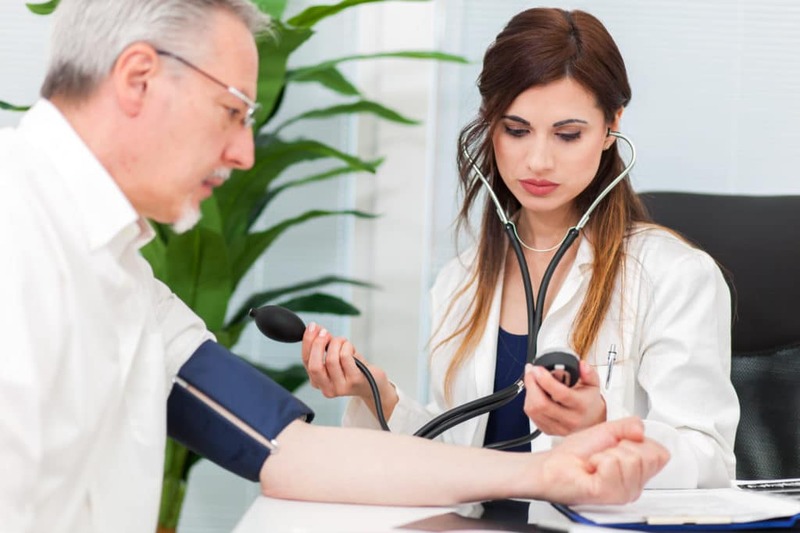 Today, many doctors are even beginning to recommend that their patients invest in a personal blood pressure monitor, so that they can access more accurate readings. That being said, the results you get at a GP appointment only give you an insight into your blood pressure at a specific time. If you can regularly check your numbers, you can get a more accurate insight into your average rating. So, how do you find the best home blood pressure monitor? We’re here to help. 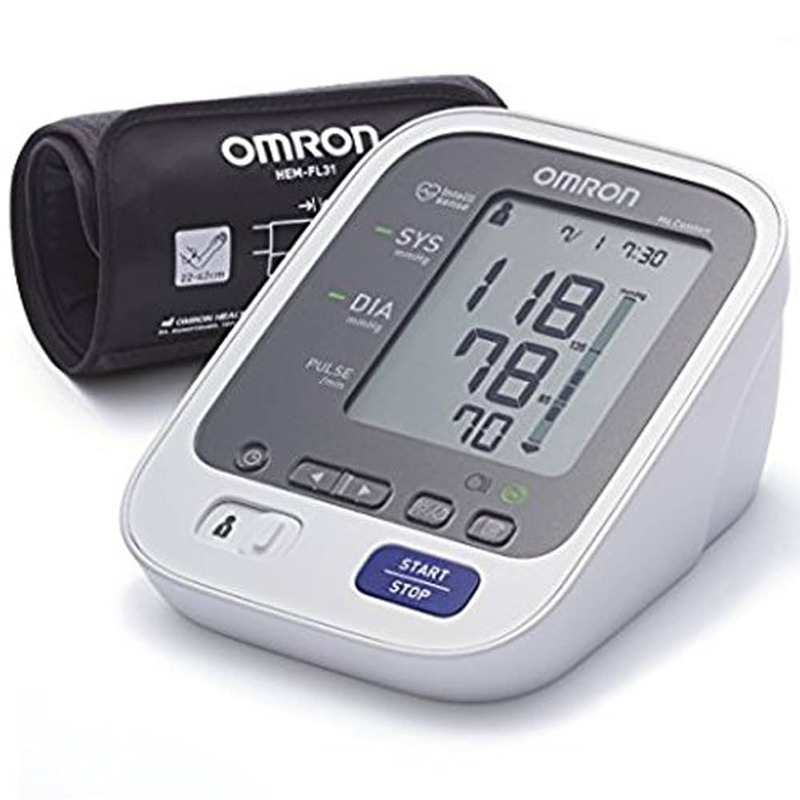 The Omron M2 Basic Upper arm blood pressure monitor is a simple blood pressure solution on the market, designed for quick and easy use. Just wrap the strap around your arm, hit the button, and you’ll have a reading in no time. 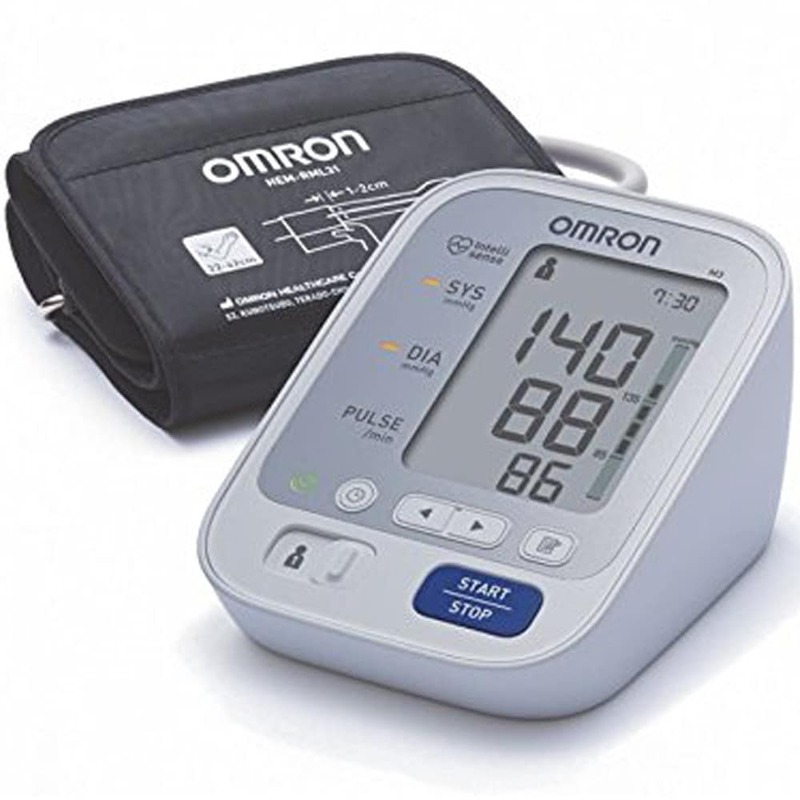 Omron is among the most popular brands in the UK when it comes to choosing a blood pressure measuring machine. This company produces solutions for virtually every need and budget. What’s more, you get technology that’s easy enough to use without a doctor’s instructions. 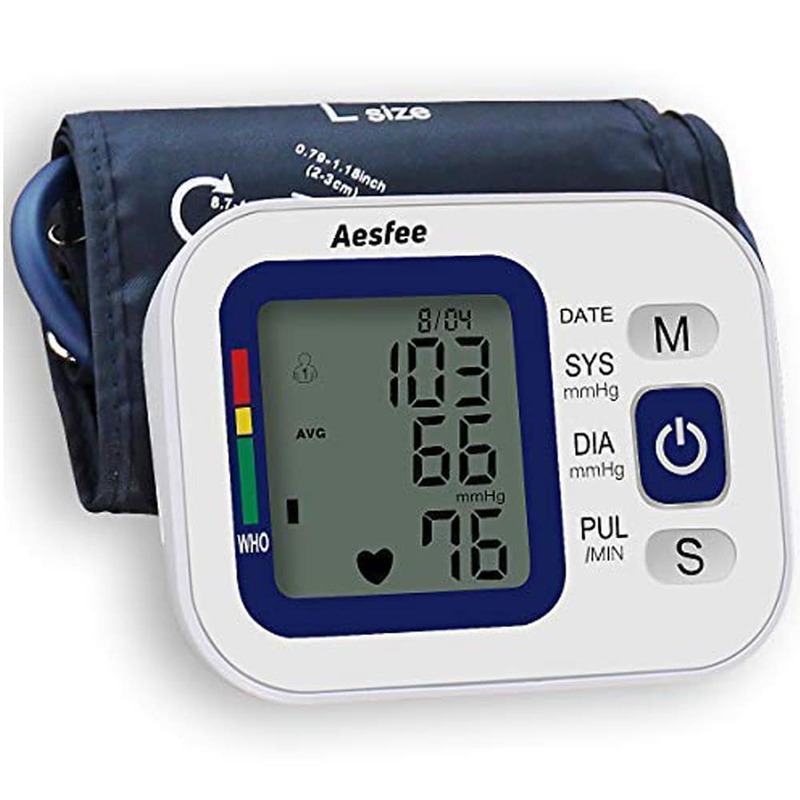 This blood pressure monitor has a memory function that allows you to store your last reading so that you can check your progress with each day. A particularly impressive feature offered by Omron is the “Intellisense” technology, that automatically inflates the cuff to the optimum level for your needs. Unfortunately, calibrating the device isn’t as easy as it should be, and you’ll need to buy a plug separately so you can plug your device into the mains. Sometimes, getting the right device doesn’t mean rushing out and buying the most expensive version of something. 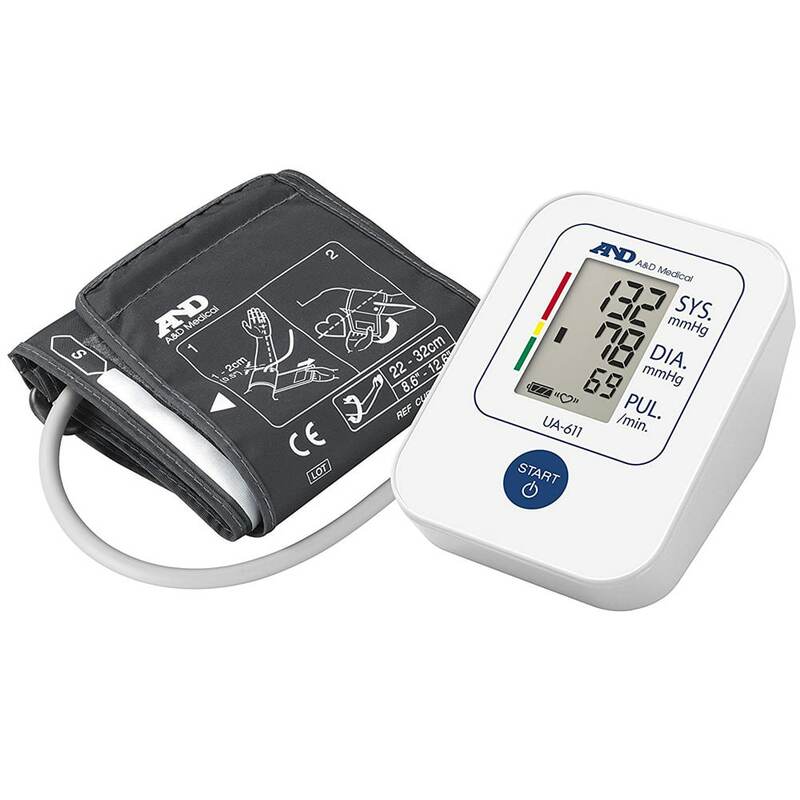 The A&D Medical UA-611 blood pressure monitor has been clinically validated to give you an excellent degree of accuracy, no matter your budget. You get plenty of great features with this machine, including the option to store up to 30 previous readings. There’s also an irregular heartbeat function included. 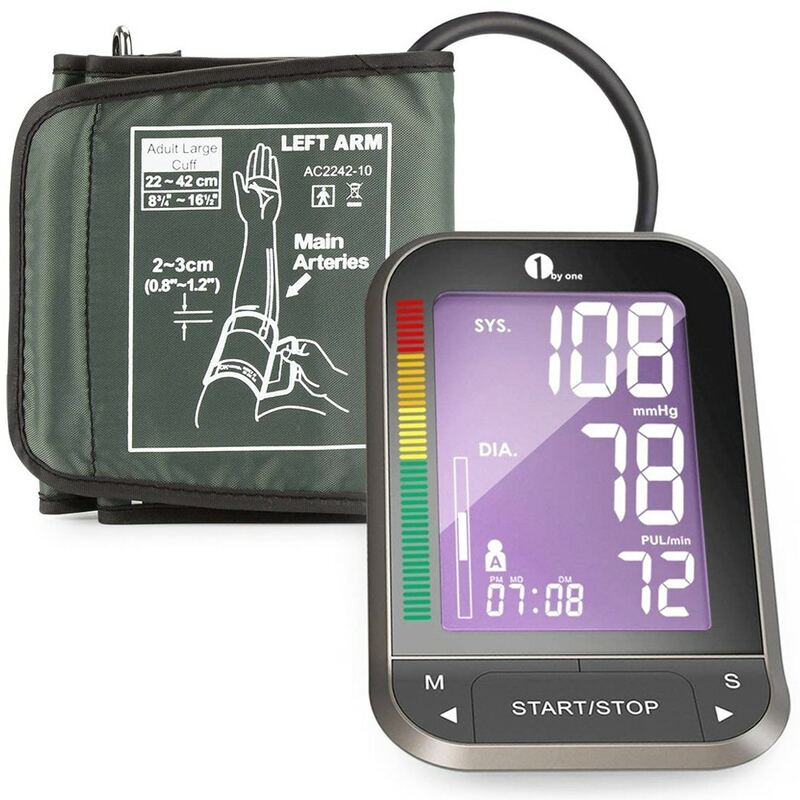 Along with a World Health Organisation-standard blood monitoring service, the A&D Medical upper arm monitor also provides one-button readings, so you don’t have to spend ages fiddling with your new device. However, the batteries don’t last long, and it’s tough to get a return in case you have any trouble with the device. If you’re the kind of person who needs to keep a close eye on their vitals, then the best blood pressure monitor in the UK for you will be something you can carry with you on-the-go. 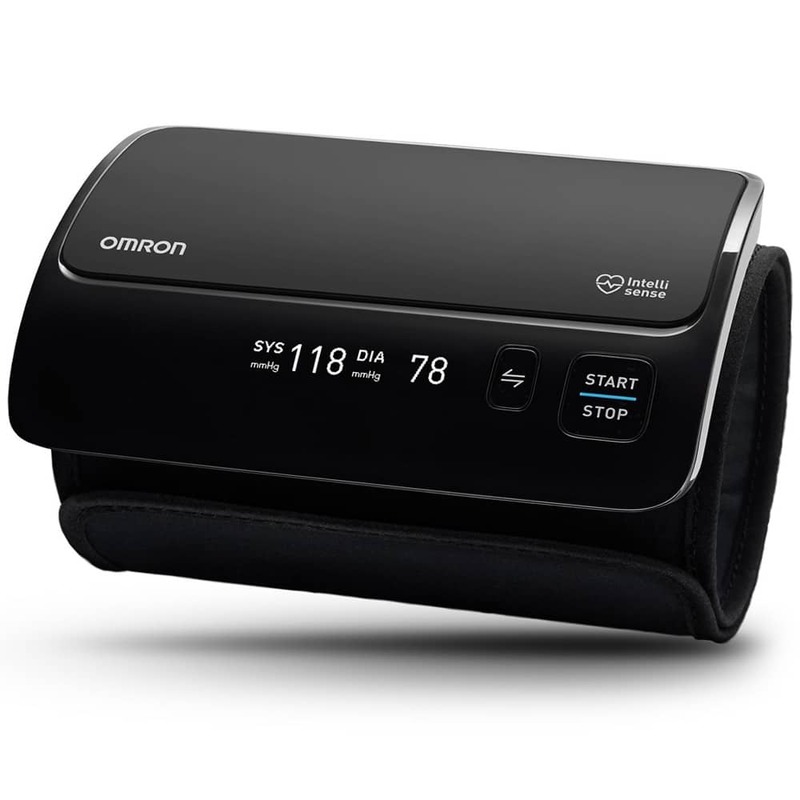 Fortunately, the Omron Evolv gives you everything you need in a simple, wireless cuff. All you need to do is wrap the system around your upper arm, press a button, and you’ll get readings instantly. You’ll be able to dive into the details of your readings via the built-in HD OLED display. You can also track additional information about your wellbeing by downloading the Omron Connect app on your smartphone. Its sleek design and high-tech performance are very appealing. However, the app doesn’t work for all phones, and the system is a little awkward to use for beginners. When it comes to choosing the right solutions for your wellbeing, accuracy counts. 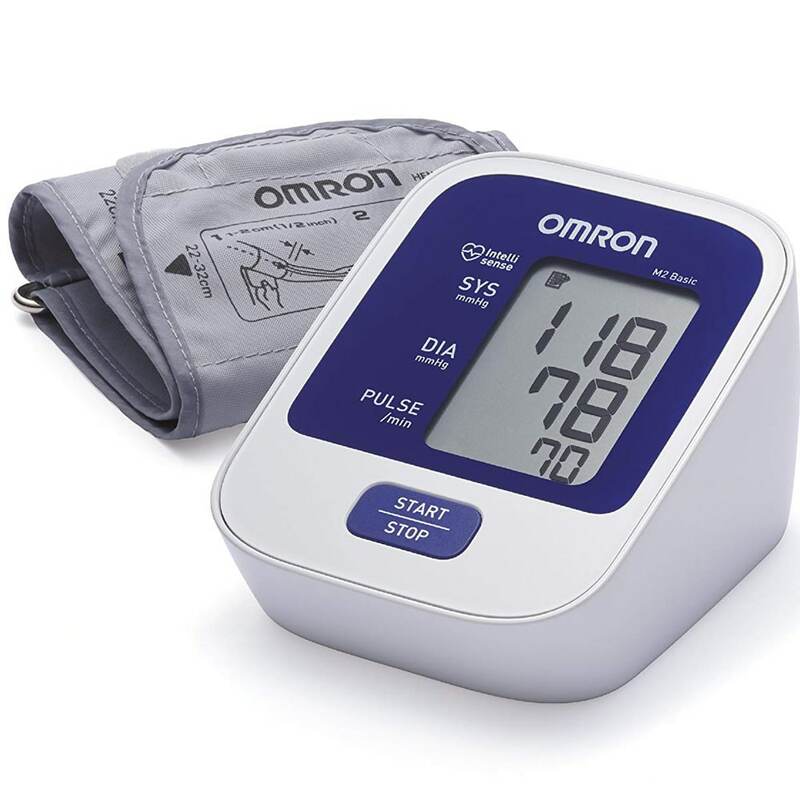 The Omron M6 Comfort with Intellisense is among the most accurate blood pressure monitors available today. It is designed to give you an in-depth overview of your health from a clinical perspective. It’ll even tell you everything you need to know about your stroke risk factor. A particularly useful thing about this monitor is that it’s fully automatic. You don’t have to worry about squeezing a plastic tube for several minutes to get your readings. Additionally, the monitor will tell you if your cuff is tight enough to give an accurate response too. The dual-check system means that you get two sensors checking your pressure at the same time, for even better results. The main problem is that the hard insert makes the arm wrap less useful for people with slender arms. The 1Byone blood pressure monitor is specifically designed for users that need to track their heart rate wherever they go. It’s small, compact and easy to use on the go. You’ll even get a carry case that you can use when you take it out with you. 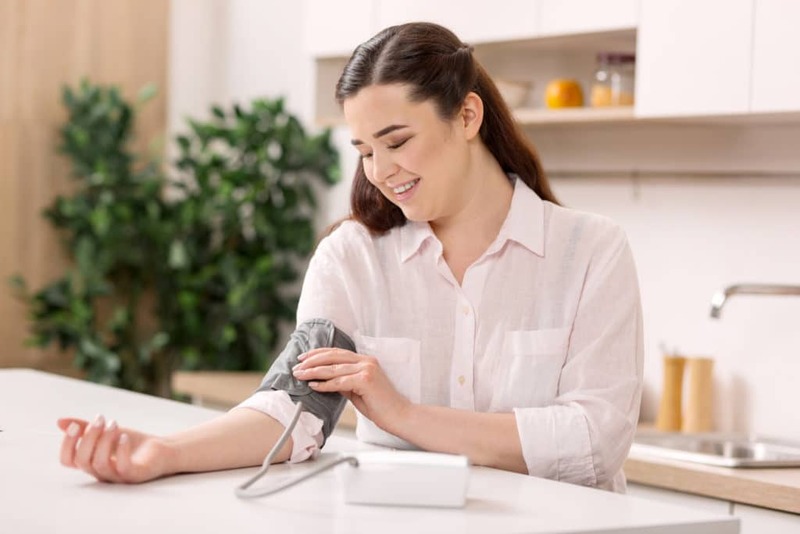 Like many of the best blood pressure machines, the 1ByOne model comes with clinically tested accuracy, and a memory feature to store readings for two different users. Additionally, the results are very informative. This highly recommended blood pressure monitor will tell you how your readings compare to normal levels, and it’ll indicate if an irregular heartbeat is detected. There’s a 24-month warranty included too. Unfortunately, this machine can not be used by anyone with a pacemaker, and the batteries won’t last forever, you’ll need to change them regularly. 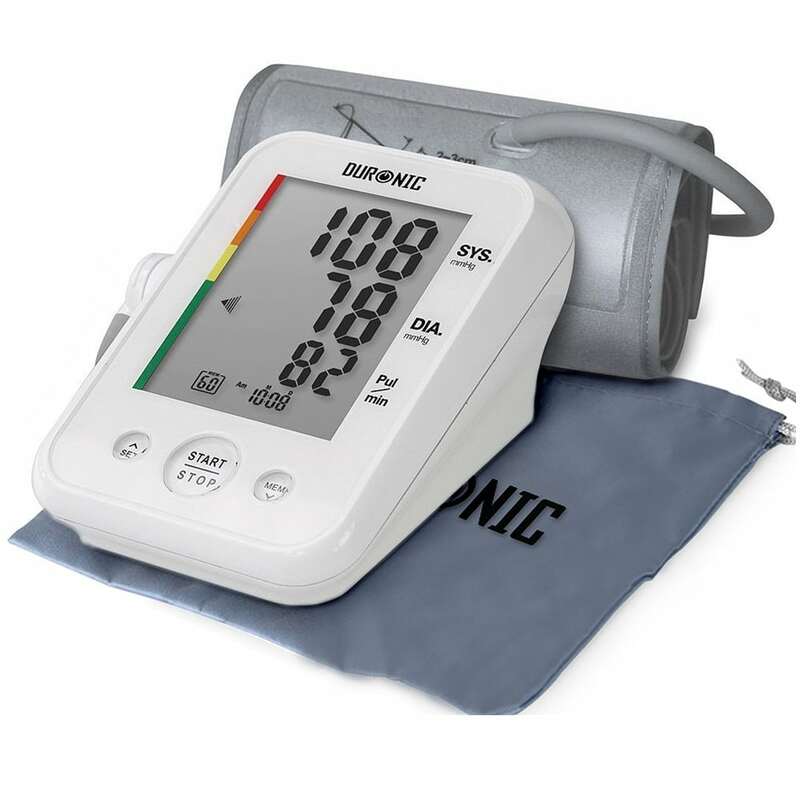 Designed for both home and professional use, the Duronic BPM150 machine received some of the highest blood pressure monitor reviews on the market. It just goes to show that fantastic tech doesn’t need to be complicated. With this machine, you get an easy-to-use design that provides readings at a click of a button. This machine is particularly useful for older people or those with bad eyesight, as the large display will make it easier to see your readings. What’s more, the mid-to-large size is ideal for people with wider arms who might feel crushed by other monitors. However, it can be challenging to get an accurate reading if you have slimmer arms. 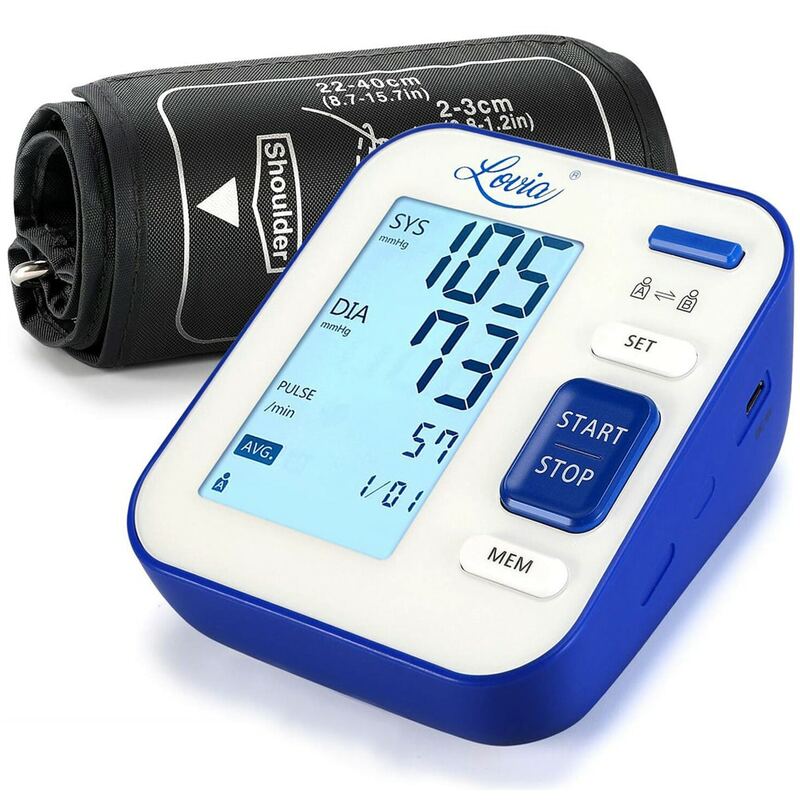 The Lovia digital blood pressure monitor isn’t just a great addition to our list of the top 10 blood pressure monitors; it’s also an ideal device you must have for elderly care. This high-quality device is ideal for older people who want to keep track of their wellbeing. The large screen display and backlight means that you’ll be able to see your results easily without squinting. Plus, there’s modes for two individual users, and the option to store up to 240 recordings. The highly adjustable size is comfortable and capable of supporting an arm anywhere between 8.7 inches and 15.7 inches in diameter. There’s also intelligent technology built-in to give you the highest-quality FDA approved readings. The main issue that people have with this device is that it looks a little cheap, but that’s not too much of a problem for a healthcare device. Designed by Withings and Nokia, this Wireless Blood Pressure Monitoring is ideal for FDA-approved wireless blood pressure monitoring. It’s easy to use, with a smartphone app that provides colour-coded feedback on your current health. What’s more, you can download your readings and share them with your doctor through either the Health Mate app or a Bluetooth connection. The colour coding feature is particularly useful if you’re not sure what you should be looking at. You can take the device to your doctor and ask him or her which parts you need to be most concerned about. However, it is quite difficult to apply the cuff correctly. You need a lot of patience, and the frustration of some failed readings could end up raising your blood pressure by the time you get a result. 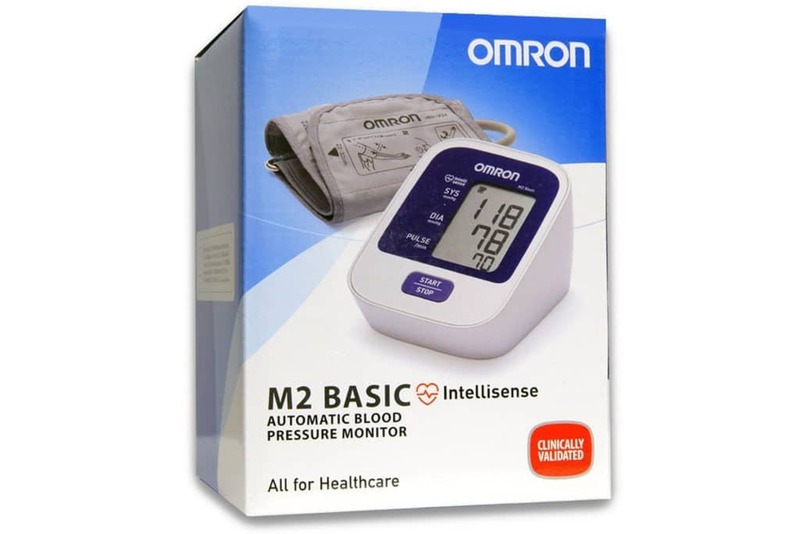 If you’re looking for the best blood pressure machine in the UK to keep by your bedside at home, then the Omron M3 Intellisense could be just what you need. According to the Blood pressure monitor reviews we read, this is among the most compelling and reliable pieces of kit out there today. Not only do you get an easy-to-use system, but everything about the machine is designed for convenience. For instance, the guide icon will light up when you’ve wrapped the cuff around your arm correctly. Along with irregular heartbeat detection, the machine offers memory features for two separate users, where you can store 60 readings per person. There’s also the patented Intellisense technology from Omron to get the inflation just right. Even better, you get a 3-year warranty too. Unfortunately, the chunky design and poor carry case mean that it’s better to keep this device at home, rather than taking it on the go. Finally, the Aesfee upper arm rechargeable monitor is a highly convenient piece of healthcare machinery designed to keep you informed wherever you are. Unlike many of the alternatives on the market today, the Aesfee monitor comes with a built-in lithium battery that you can recharge via USB cable at any time. Additionally, this device also comes with dual user group modes. If you and your partner want to record and track your blood pressure at the same time, you can set up individual accounts, and record up to 99 measurements each. What’s more, this equipment has been fully approved by the CE and RoHS and comes with a 15-month warranty for peace of mind. The biggest problem is that the cuff can be a little temperamental. Getting the wrap 100% right is hard. Wellness products like probiotics and mobility scooters to name a few help us maintain our health. A blood pressure monitor is also one of these essential wellness devices. Having your blood pressure measured is often a typical part of a visit to the GP. However, the reading that you get during a one-off visit isn’t as accurate as they could be. If you’re at risk of high blood pressure, stroke, or other cardiovascular problems, you’ll be far better off taking regular readings. Having your own blood pressure monitor can be used to get an accurate insight into your wellbeing. Fortunately, there are plenty of blood pressure monitors on the market today that can help you to track your wellbeing at home. Some can be used on your upper arm while others on your wrist. The question is, how do you know which option is right for you? Here are a few things to consider when making your decision. For any blood pressure monitor to be useful, it needs to be accurate. It is better to check whether your chosen device is reliable. To do this, look at the blood pressure monitor reviews and find out whether it’s been approved by certain groups. For instance, if the machine is FDA certified, or validated by the British Hypertension Society, that’s an excellent place to start. In general, upper arm monitors are said to be more accurate than wrist monitors. Although, wrist monitors can give an accurate reading when used correctly. The traditional method of measuring your BP involves squeezing a plastic bulb to inflate your cuff and listening to how your blood pressure changes. Obviously, this is a very complicated thing to do by yourself. That’s why most experts will recommend getting an automatic machine unless you have prior medical training or problems with a condition called atrial fibrillation. 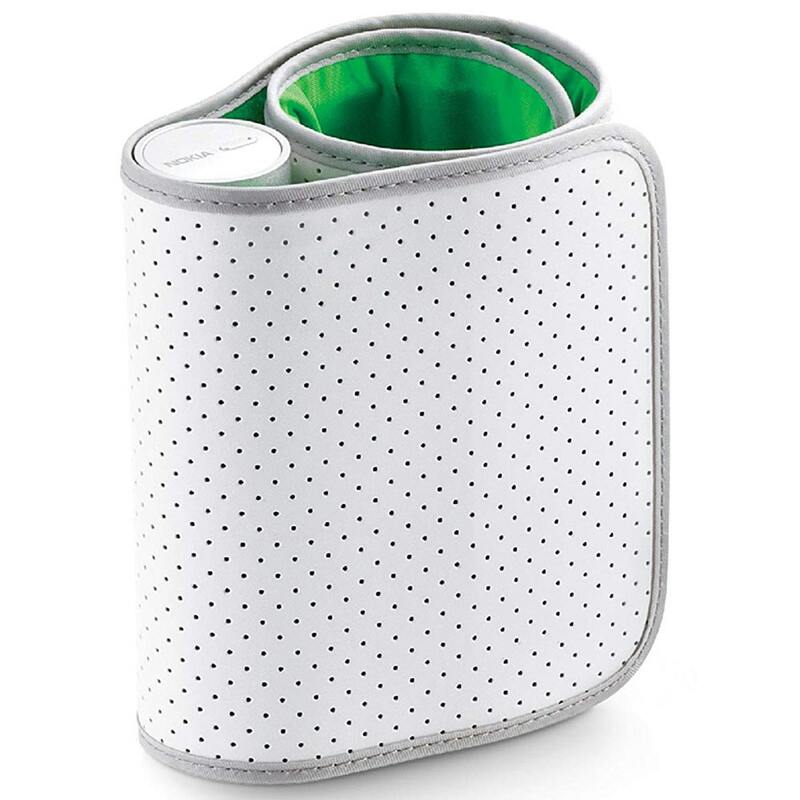 Blood pressure monitors come equipped with a cuff that you need to wrap around your upper arm or wrist. If what you’re using isn’t the right size for you, then your reading will be off. People with a larger or smaller arm or wrist might have a harder time finding the ideal machine, as most cuffs only offer support for “average” arm or wrist sizes. Fortunately, it may be possible to order special cuffs separately if your chosen device doesn’t come with the right size. When choosing a device, different people need specific things from their blood pressure monitors. For instance, if you want to track your health during workouts, you might want a monitor that’s portable so that you can take it with you on the move. If you need to track your results over a long period, you’ll need a machine with a memory function, or something that you can connect to your smartphone. Whatever kind of device you choose, remember that it’s a good idea to keep it calibrated. Some blood pressure monitors need to be calibrated at least once every two years, which could mean sending them back to the manufacturer temporarily. Finding the best blood pressure monitor in the UK for your needs is a very personal experience. You’ll need to think carefully about what aspects of your health you want to track, and how you plan on using your machine. For the sake of simplicity, our favourite option has to be the Omron M2 Basic monitor. It’s ideal for beginners, comes with Intellisense technology for simple inflation, and it’s clinically approved. If you need something portable and easy to use, the Omron M2 might be suited to you. What’s your favourite blood pressure device on the market today? Let us know in the comments below and stay healthy!